As a premier distributor of Euro Vinyl Windows and Doors Inc. who has partnered with world-famous German Rehau® for their vinyl systems, industry leaders in innovative glass systems. Stouffville Glass is a proud representative of the Euro Vinyl line of products. 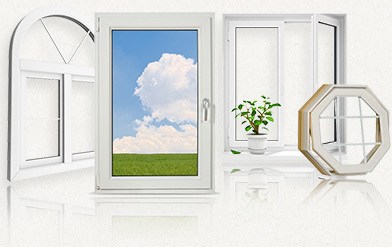 When you decide it’s time for a renovation, we have a wide selection of window and door products for you to choose from and we will install them for you. There are a number of questions to ask yourself before making the decision about whether your windows need to be replaced. Are your windows as energy efficient as they should be in order to save you money every month on your energy bills? Is there adequate lighting in the important living areas of your home? Do you have windows or doors that connect your indoor space with outdoor living areas, interesting landscape features or views? Vinyl windows are becoming more and more popular as an economical alternative to aluminum, wood and fiberglass. They are energy efficient and offer a wide selection of styles. Vinyl is known to keep heat in during the winter and seals your rooms to keep out the heat during the long days of summer. This means you’ll also save money through reduced energy costs. We guarantee the quality of our work and your satisfaction. We’ll provide you with a 1-year installation warranty once we complete your installation. As an Energy Star partner, we know how to provide you with products and solutions that will help make your home more energy efficient as well as increasing it’s curb appeal. Contact Us For The Best in Vinyl Windows.